We perform research in surface reconstruction from point clouds, geometry processing and geometry representations. We use parallel processing of thousands of GPU cores to enable flash geometry operations in real-time. Novel data structures are evaluated to reduce the time complexity of geometric operations, such as collision detection or occlusion-aware surface processing. 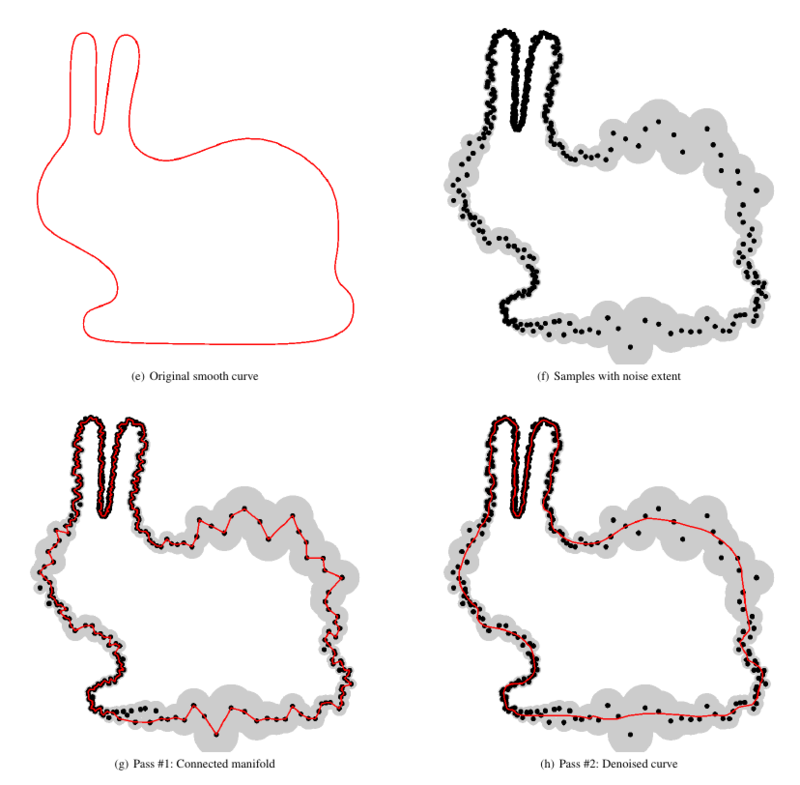 In computational geometry, we prove concepts relating samples to curves and manifolds. We also research novel surface description paradigms and according operators, representing large point cloud data in a probabilistic way. In Proceedings of the 14th Eurographics Workshop on Graphics and Cultural Heritage, pages 19-22. October 2016. Poster shown at ACM SIGGRAPH 2016 (24. July 2016-28. July 2016) In ACM SIGGRAPH 2016 Posters , pages 34:1-34:1. In EUROGRAPHICS 2012 State of the Art Reports, pages 1-28. May 2012. In Shape Modeling International 2002, pages 35-42. 2002. The Research Cluster "Smart Communities and Technologies" (Smart CT) at TU Wien will provide the scientific underpinnings for next-generation complex smart city and communities infrastructures. Cities are ever-evolving, complex cyber physical systems of systems covering a magnitude of different areas. The initial concept of smart cities and communities started with cities utilizing communication technologies to deliver services to their citizens and evolved to using information technology to be smarter and more efficient about the utilization of their resources. In recent years however, information technology has changed significantly, and with it the resources and areas addressable by a smart city have broadened considerably. They now cover areas like smart buildings, smart products and production, smart traffic systems and roads, autonomous driving, smart grids for managing energy hubs and electric car utilization or urban environmental systems research. 3D spatialization creates the link between the internet of cities infrastructure and the actual 3D world in which a city is embedded in order to perform advanced computation and visualization tasks. Sensors, actuators and users are embedded in a complex 3D environment that is constantly changing. Acquiring, modeling and visualizing this dynamic 3D environment are the challenges we need to face using methods from Visual Computing and Computer Graphics. 3D Spatialization aims to make a city aware of its 3D environment, allowing it to perform spatial reasoning to solve problems like visibility, accessibility, lighting, and energy efficiency. The aim of the project is to increase the resources- and energy efficiency through coupling of various digital technologies and methods for data capturing (geometry and materials composition) and modelling (as-built BIM), as well as through gamification. Collaborative project with several companies and institutes. Acquiring shapes of physical objects in real-time and with guaranteed precision to the noise model of the sensor devices.